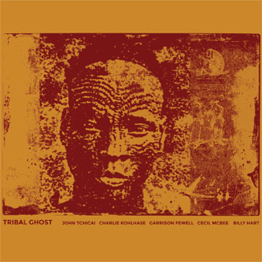 Only at the end of his career John Tchicai, a man who played with Albert Ayler and John Coltrane and who was one of the great voices in free jazz, was allowed to have his first and only weeklong residency at a New York Jazz club, the Birdland. For the concerts Tchicai (ts, b-cl) expanded his trio consisting of Charlie Kohlhase (as, ts, baritone-sax) and Garrison Fewell (g) with Cecil McBee (b) and Billy Hart (dr) because this was the only precondition the Birdland booker had. Tchicai chose these two legends because according to the liner notes he wanted someone who “could play time, could swing and play free”. And what an excellent decision that was! The album, which was recorded on February 9th and 10th in 2007, is available as a limited vinyl edition of 1000 copies. You can listen to a snippet of “Dark Matter” on the label’s website (http://nobusinessrecords.com/) where you can also buy the record. You can also purchase it at instantjazz.com. One of my favorite albums of the year. I'll write my opinion on it shortly, and fully in agreement with Martin.